2012 was awesome. It helped me do so many things. Let's hope the same continues this year as well. One of my goals this year is to take up interesting illustration assignments that I would love to work on and will teach me loads. Moreover, I have so many things to tick off my wishlist. I sincerely hope that these assignments will fund everything off my wish list (too optimistic, isn't it?) 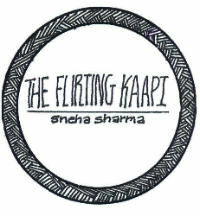 So if you like my work and have an amazing (big/small/medium) assignment that we could work on, do shoot me a mail at contact@theflirtingkaapi.com. Around the end of November, I had planned to make a complete calendar of 2013 for sale but lazy me just sat on the idea and ruminated for so long that 2013 is already here. To push me and my limits, I am planning to come out with an illustrated desktop calendar for each of the coming months. The original plan is to make a complete 12 month set. Let's see how far I go (Promise me that you all will keep me motivated. Okay? Okay). And taddaa! 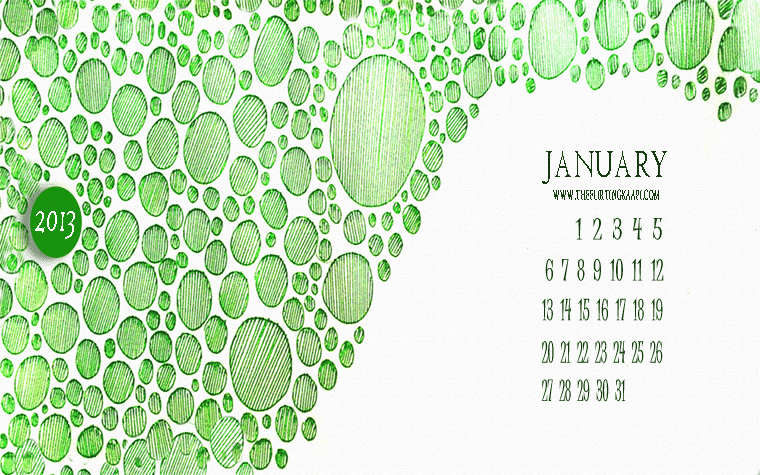 Here is the calendar for this month. What do you think? Brickbats or love? I would love to know your feedback. If you love it and want to download for your desktop, just click on the respective size and save the background for your computer/phone. Moreover, you can print and pin them up as well. However, this is only for personal use. I likeeee, Sneha. Looks very fresh & citrusy ! :) I think you are a very talented and imaginative girl. You SHOULD continue with the remaining 11 months. 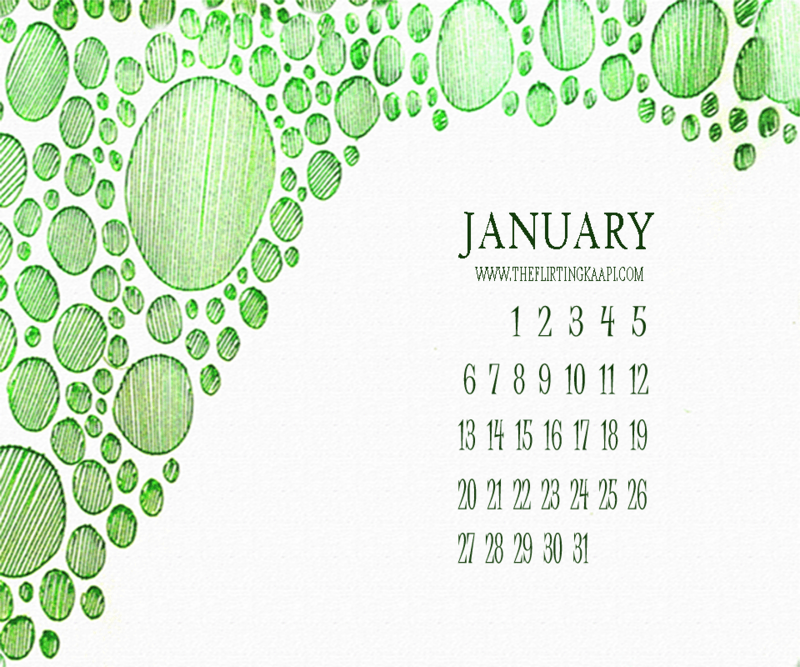 That way I can look forward to every month's design. It is a good idea! Looks good also! Keep 'em coming! And yeah try making it in .jpeg format. . Easy to share and all. . Thanks Shalet, wish you the same! Great work! !would love too see more! !